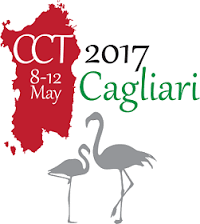 We are pleased to inform you that Magaldi Power SpA will attend the IEA Clean Coal Centre’s 8th International Conference on Clean Coal Technologies, which will be held from 8th-12th May 2017 in Cagliari (Sardinia, Italy). Three days of technical sessions will cover all aspects of clean coal technologies and highlight the most cutting edge research. On Tuesday 9th in the morning (starting from 11:00 am), during the session on “Power Plant”, Magaldi will be glad to have a speech on “Beneficial Effects of Dry Bottom Ash Extraction and Recycling in Modern PCF Power Plants”, to present the operational experience of the first industrial application of the Magaldi Ash Recycling (MAR®) system in a PCF power plant in Italy. The MAR® system is a recycling process that transforms bottom ash into fly ash by returning the “dry” bottom ash to the boiler combustion chamber. The dry bottom ash is removed from beneath the boiler using the Magaldi Ash Cooler (MAC®). With more than 200 installations worldwide on boilers generating more than 70,000 MW, this technology extracts and cools down the bottom ash by means of a small amount of ambient air. Then, the MAR® system conveys the ash back to the coal feeders where it is mixed with coal, milled and reintroduced into the furnace. - Environment respect: mixing fly ash with cement, CO2 emissions decrease. Around 0.9 tons of CO2 are generated from the production of a ton of Portland cement. We will be pleased to welcome you at the CCT 2017 Conference to provide further information on our dependable technologies.